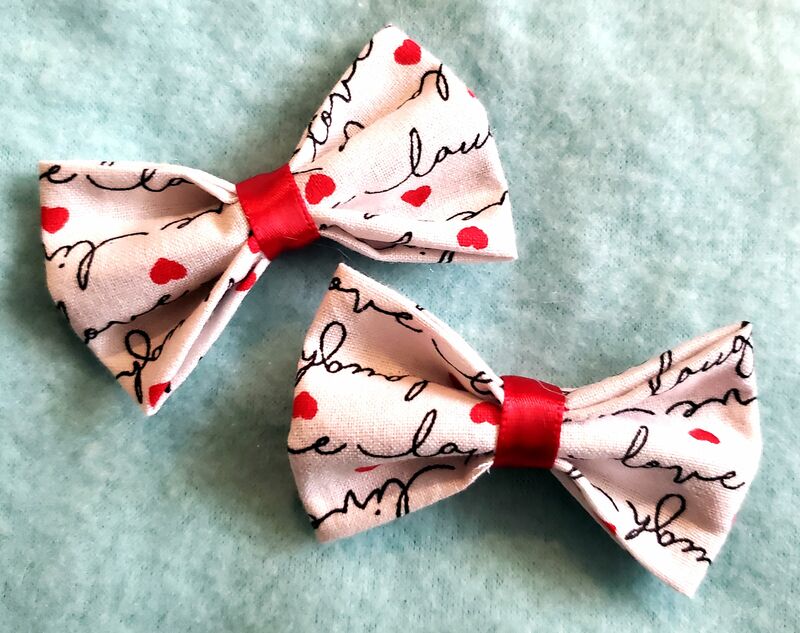 Holiday Bows – Smileybug Bows & Co.
We love celebrating holidays around these parts, so it’s only fitting we have holiday bows! 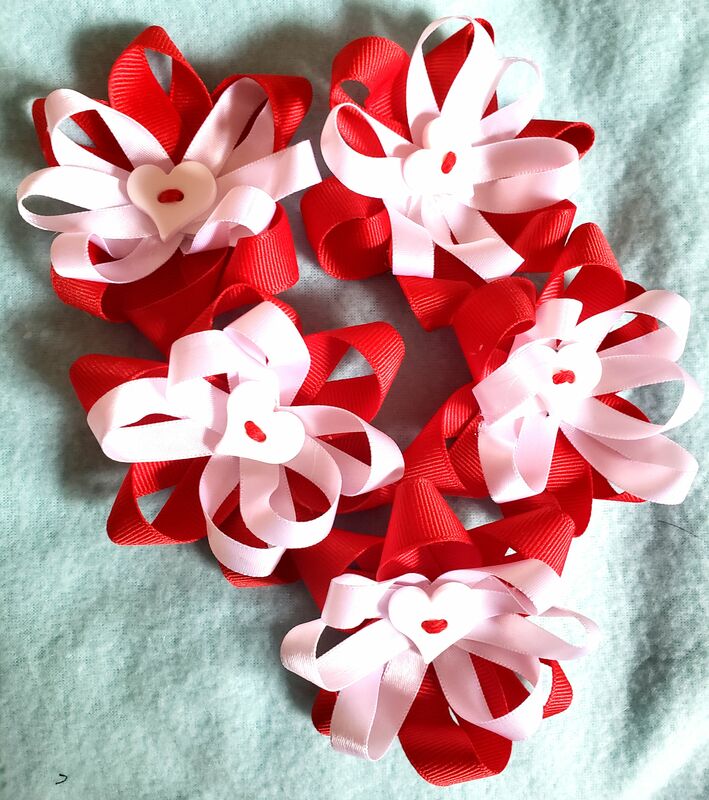 * Arrows, hearts, red and white – everything that makes you think of Valentine’s Day. * Perfect blend of Valentine’s Day colors. * Topped with a fun heart button. * Main color of bow is white, not pink as it may appear. * Bow measures 3 3/4″ wide by about 2 1/2″ high. 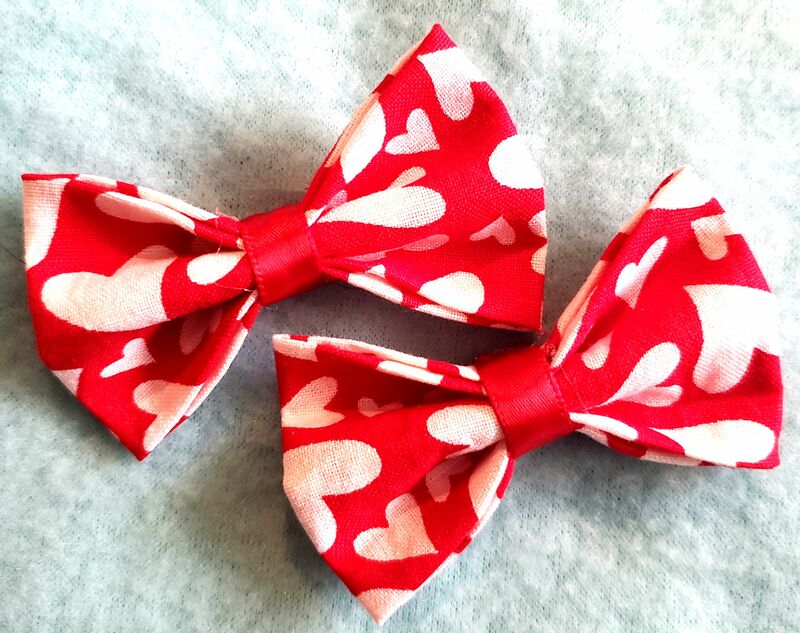 * Just a smaller version of our Cupid’s Arrow fabric bow. * Button is left off of the baby version, so it’s safer. * Can be purchased single or as a set. * Main color is white, not pink as it may appear. * Bow measures 2 1/2″ wide x 1 3/4″ tall. 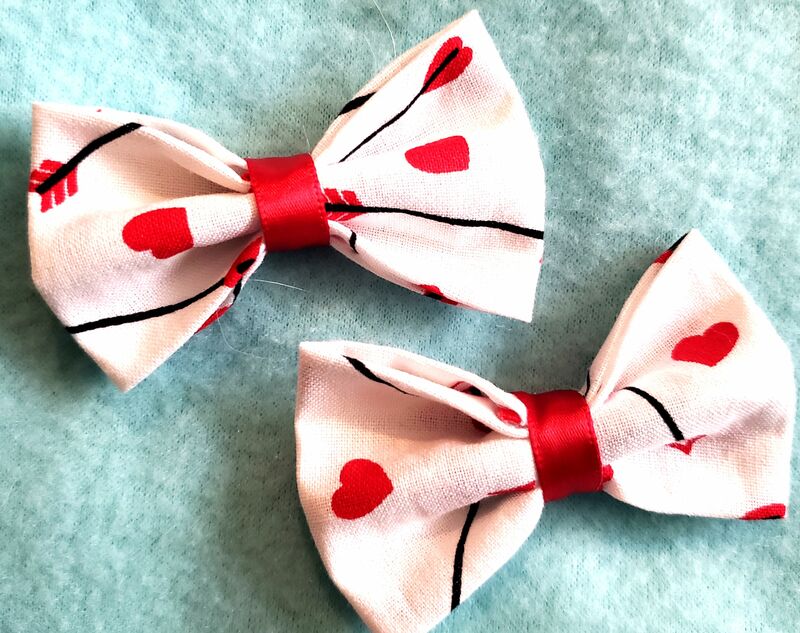 * No shortage of love with this bow. 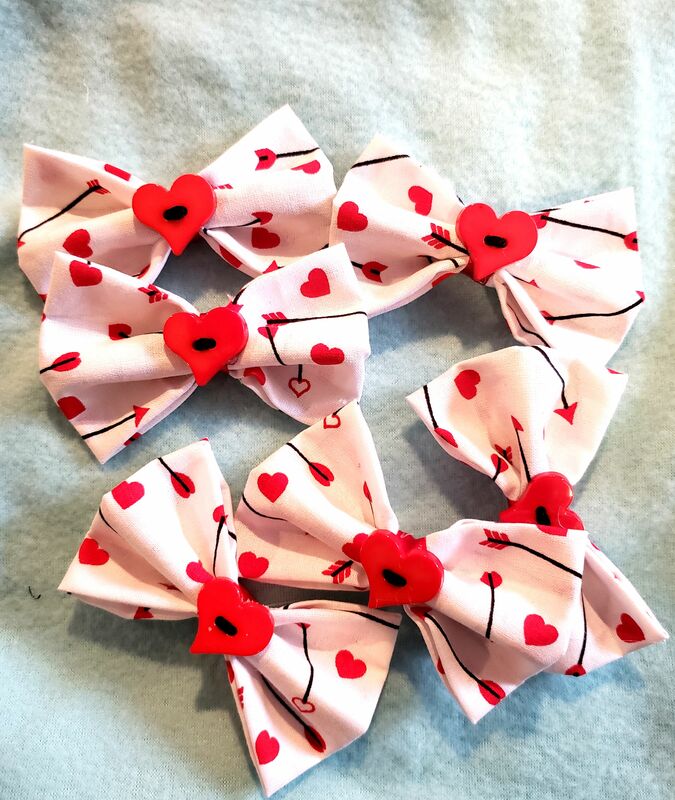 It is THE PERFECT bow to have in your life to celebrate Valentine’s Day. * Bow measures about 3 3/4″ wide by 2 1/2″ tall. * The smaller version of our Love A Lot bow. * Heart button is omitted to keep our little friends safe. * Can be purchased separately or as a set. * Bow measures about 2 1/2″ wide x 1 3/4″ tall. * Script lettering and hearts, the perfect Valentine sentiment. * Bow is mostly white, though it may appear pink in the photo. 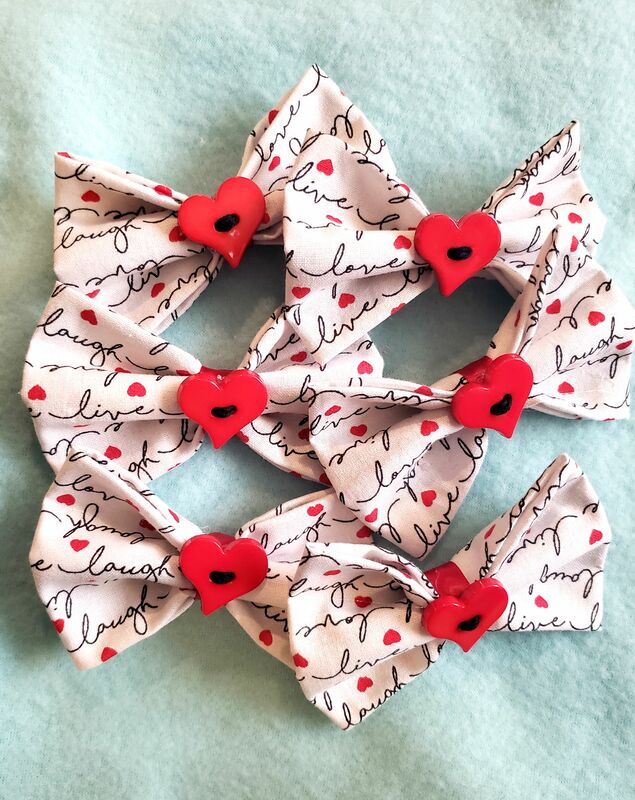 * The smaller version of our live, laugh, LOVE bow. The perfect size for all of those little, tiny ladies in our lives. * Center decoration is taken off to keep it safer. * A slightly more sophisticated look for Valentine’s Day. 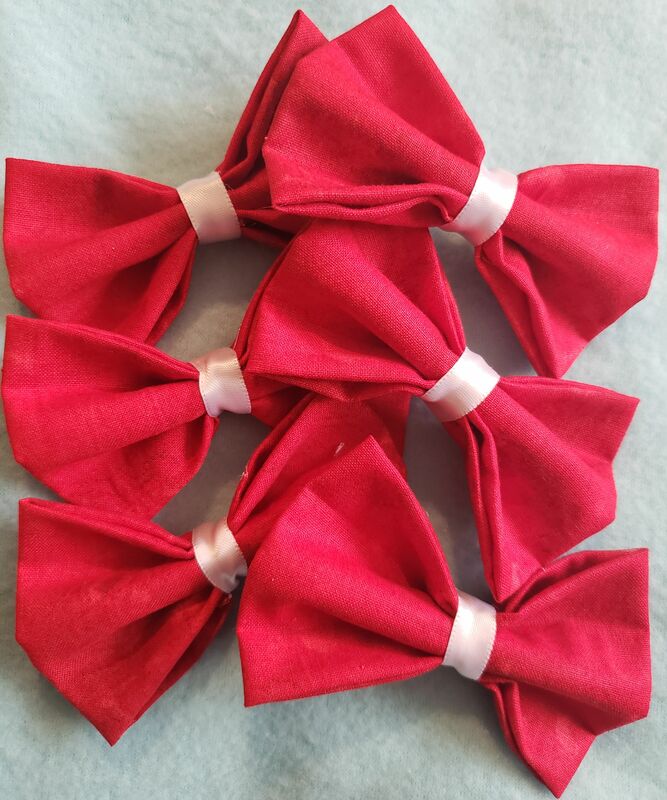 * The smaller version of our Red Hot bow. This one is the perfect size for all of those little, tiny ladies in our lives. * No center decoration keeps little friends safe. * A slightly different version of our flower loopers. 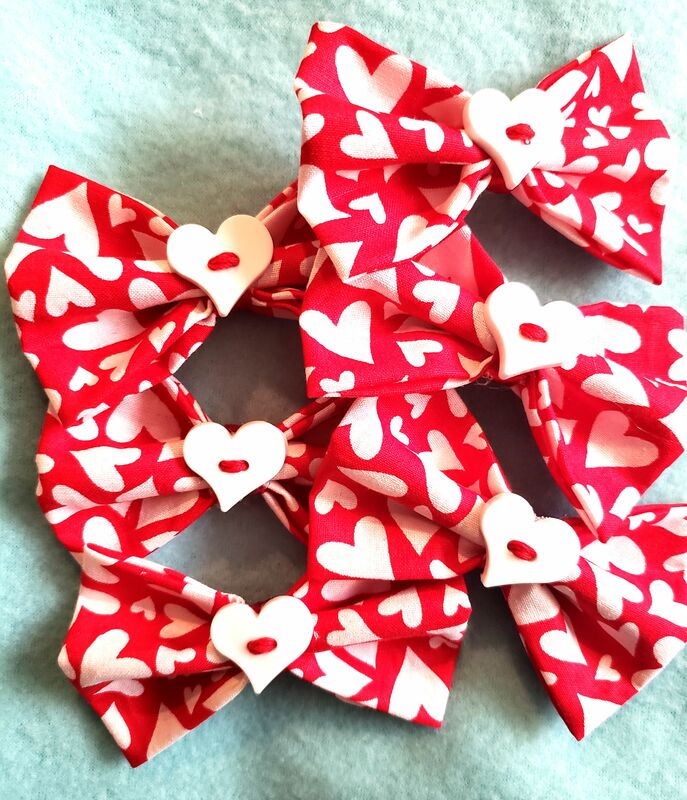 * The perfect bow for Valentine’s Day. 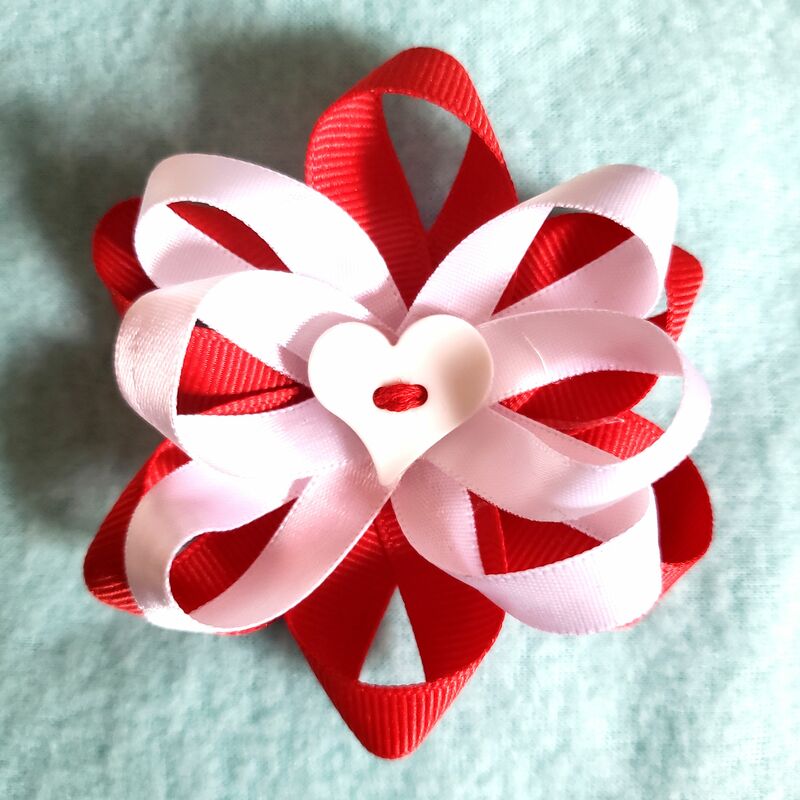 * Red and white with a cute heart accent are sure to please and make for a great holiday. * Bow measures about 3 1/4″ wide x 3 1/4″ tall. 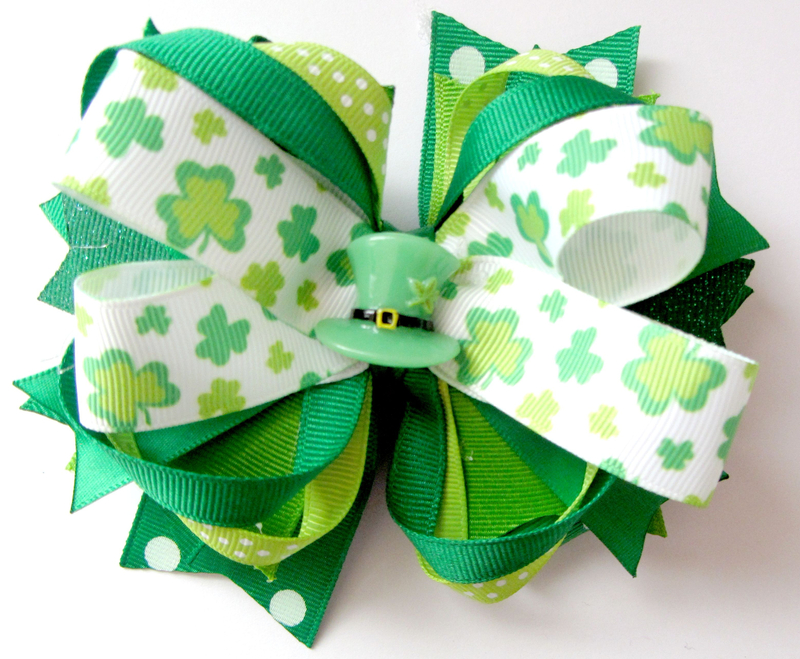 * She’ll be ready for the ‘Wearin’ O’ The Green’ with this bow. * Chock-full of shamrocks, perhaps a lucky four-leaf clover will be found. * Bow measures 4″ wide x 2 1/2″ tall. 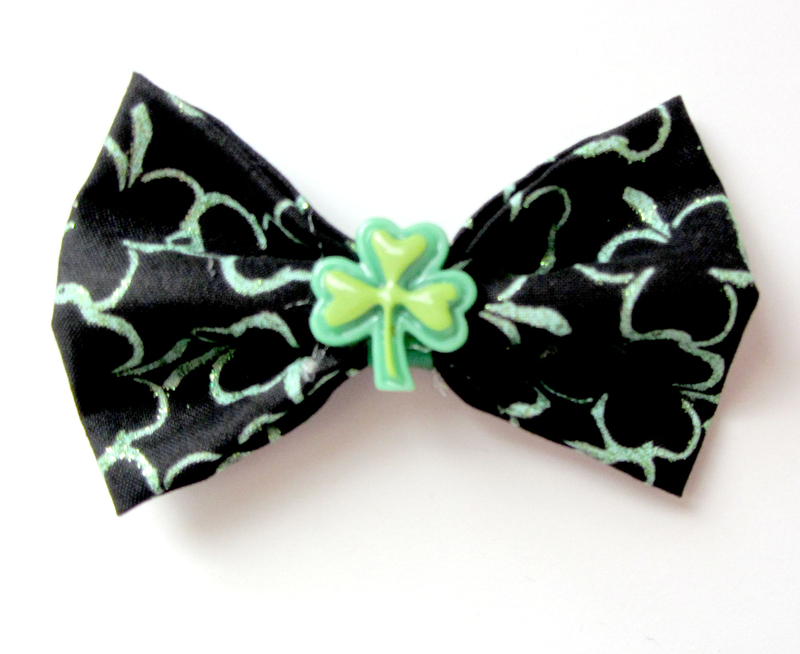 * She’ll be ready for St. Patrick’s Day with this bow in her hair. * Simple glitterfied shamrocks make this print and with the added resin shamrock on top, she’ll be safe from the pinchers. * So many shades of green work together to make this the perfect bow for St. Patrick’s Day. 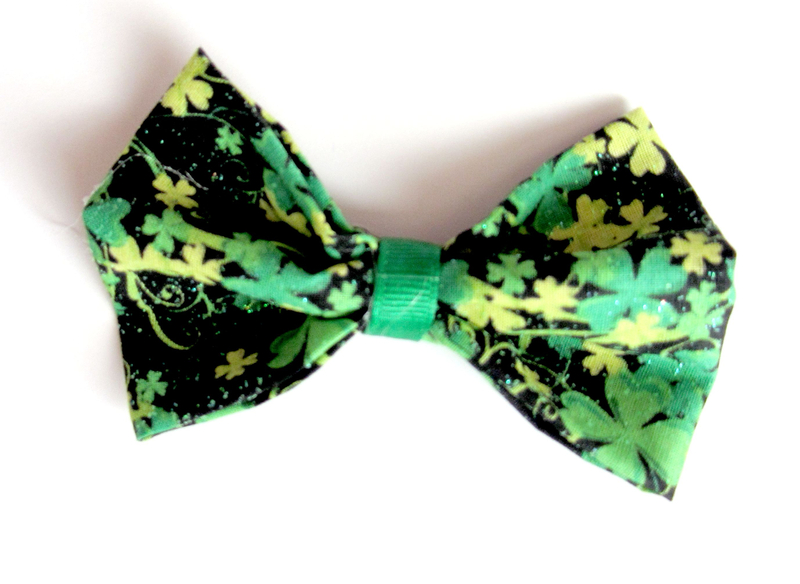 * Polka-dots, glitter and shamrocks make this bow even more fun. 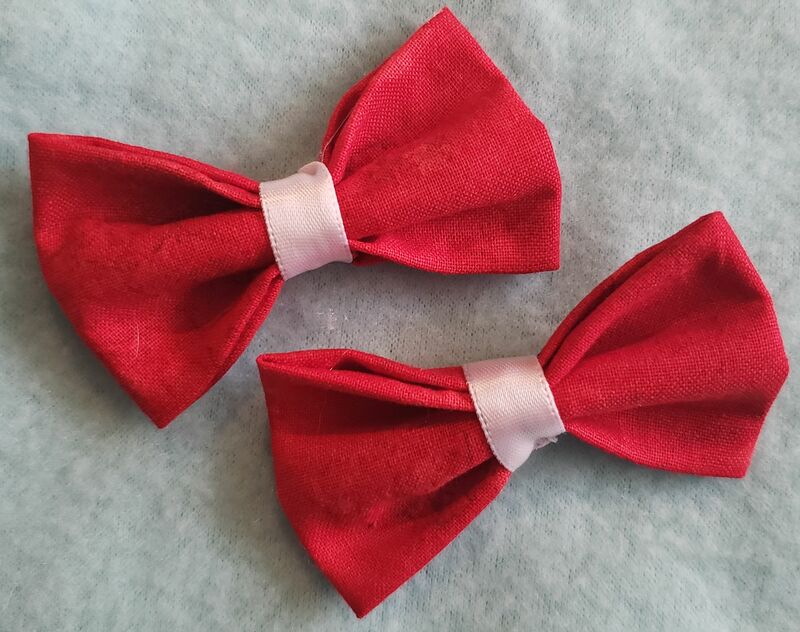 * This bow is sure to please even the oldest of ‘little’ girls. 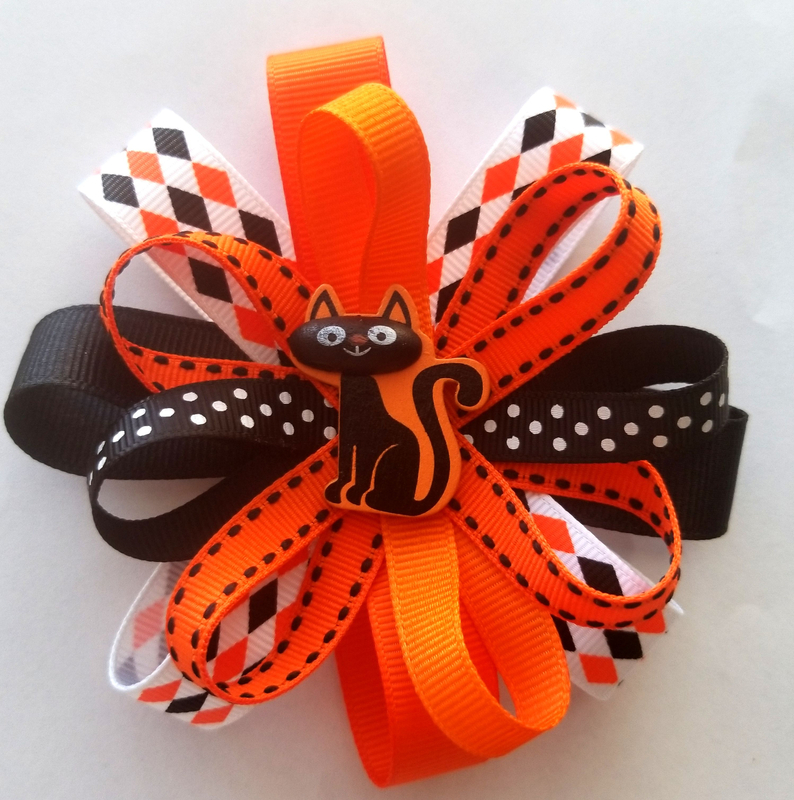 * The perfect blend of Halloween colors with a black cat to top it off. * It’ll definitely put you in the Halloween spirit. * A fun, festive pattern for Christmas. * Candy canes and mistletoe are always sure to bring some Christmas cheer. * Bow measures 3 1/2″ wide x 2 1/2″ tall. 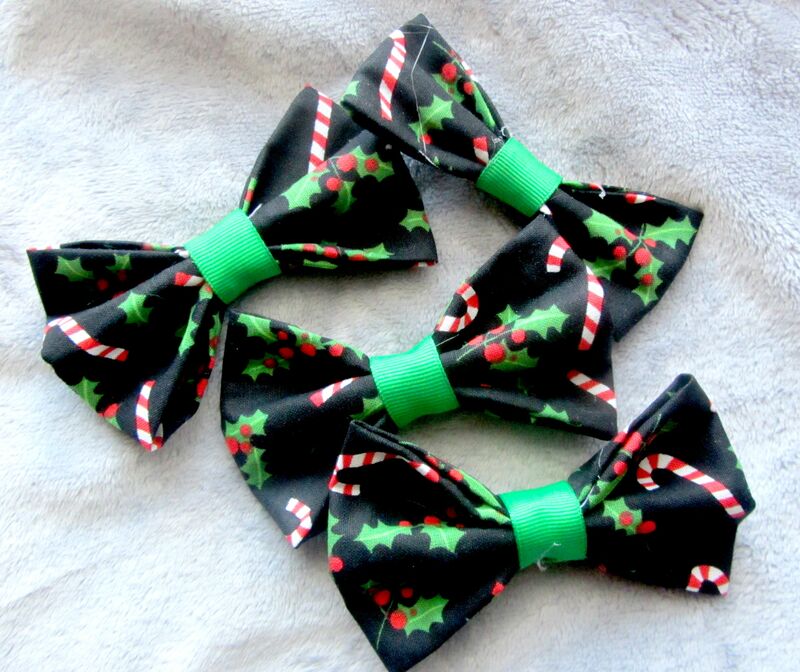 We’re always creating new bows for upcoming holidays, so keep checking back.